Good office lighting is imperative for the success of business. One should work in a pleasant surroundings, should be able to properly see what needs to be done and one should not get weary due to a lack of visibility. 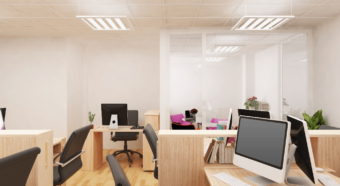 We know exactly what kind of lighting is required for optimal working conditions. visual: how do you perceive the work environment; you experience the ambient lighting as restful or just as restless, or the light feels warm and cozy, or cool and fresh. Here, too, it is about conscious and unconscious influencing of the brain and with that the state of mind. All these outside factors influence the state of mind of people and therefore their work environment. If you and your colleagues feel more comfortable, you are less likely to get annoyed and work with each other more pleasantly. We have the knowledge and experience to ensure optimal ambient lighting that makes people feel comfortable in the office. The 4 factors, olfactoir, kinesthetic, auditory and visual, which influence the state of mind of people also affect ones well-being and therefore ones productivity. When people feel comfortable at work, they work faster, more concentrated and they make fewer mistakes. However, if these factors have a negative impact, people can even become ill. This applies to everyone in general, but especially to people who are hypersensitive to light. This occurs often subconsciously. Hypersensitive people can get all kinds of complaints such as headaches from unfavourable ambient lighting. Often, the limited colour rendering in the artificial light source (LED) is the culprit. We see “light”, but not all colours of the spectrum of sunlight that a human being can perceive (roughly between 300nm and 800nm) are represented in the artificial LED light. Colour rendering is expressed in the so-called Colour Rendering Index (CRI). This must be sufficient in office environments. In addition, the colour temperature is important. This says something about whether you experience the light as “warm” or as “cool”. Again, there are big differences between people. 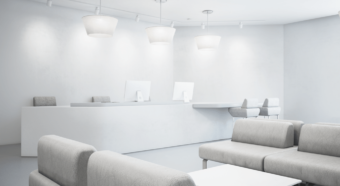 In offices, the colour temperature should be not too warm (cozy) and not too cool (clinical). 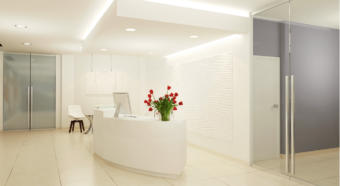 It is therefore important to carefully think about the visual aspects of ambient lighting in an office environment. Do I have the right CRI and colour temperature, or do I want to go one step further and adjust the perception of light in the office? There are dynamic lighting systems available that adapt to the circumstances. These systems can dim if there is enough light from outside, but also change the colour temperature. If, for example, it is very sunny outside with lots of light, the lighting inside it shouldn’t be too “warm”. Conversely, if it is dark and gray winters day, the light inside the office shouldn’t be too “cool”. This system automatically adjusts the colour temperature, i.e. depending on the time of day. Employees often have a dip at around 4 pm. If the light is cooler at that time, the melatonin production gets delayed and employees feel more active again. 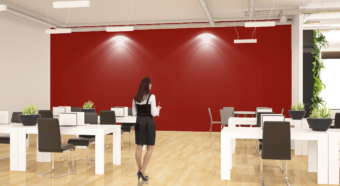 Yourlight has the knowledge and experience to advise you in choosing the optimal (dynamic) lighting system for your offices. We help to increase productivity, to avoid people making mistakes and to reduce absenteeism. Less maintenance on your lighting? Contact us! 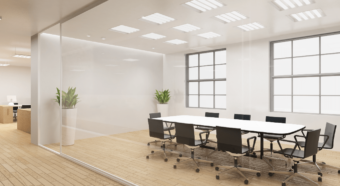 Today, many offices are still illuminated with old-fashioned fluorescent tubes, conventional energy saving light bulbs, halogen spotlights and even incandescent light bulbs. In the current era, in which our planet is warming up and in which we are dealing with climate change which will have a serious impact on our lives, it is important to start reducing CO2 emissions. Many companies have already included sustainability objectives in their annual plans. Yourlight advises companies to actually realize these objectives. Switching to energy-efficient LED lighting, especially if it is controlled dynamically, will result in considerable energy savings compared to the conventional light sources mentioned above. An additional advantage of energy saving is of course that costs are saved simultaneously. After all, the energy bill goes down. Yourlicht advises companies to optimally save energy and costs through modern lighting solutions. Fluorescent tubes, conventional energy saving light bulbs and especially halogen spotlights must be replaced regularly. If you now switch to LED lighting of Yourlight, you no longer have to replace light bulbs due to its long lifetime. This saves money, time and irritation. For a higher productivity please contact us! In order to realize the sustainability objectives of the government, whether this is the municipality, the state or country (within the EU or beyond) in which a company is based, it will have to be actively involved in energy saving programs. The rules and regulations are becoming increasingly stricter, the sanctions are becoming tougher and the enforcement of these rules more intensive. A simple measure, which immediately makes a difference, is replacing the existing conventional lighting with energy-saving and dynamic LED lighting solutions from Yourlight. Governments now no longer allow certain light sources for company lighting, such as mercury vapor lamps (HPL / HQL). For offices this is not a problem yet, however it is to be expected that, just like incandescent light bulbs, halogen and fluorescent lighting will be prohibited as well. These light sources will therefore no longer be (easily) available. Because they are so inefficient and environmentally harmful, these lamps will disappear completely over time. To make your company future-proof, it is advisable to switch to a modern technology that guarantees operational reliability. To do this, Yourlight has high-quality, reliable and attractively priced lighting solutions for office environments.